The 2019 HPCsc Heritage Awards Ceremony Luncheon will be held on April 27, 2019, at Venice Golf and Country Club. The cost is $45.00 per person (3 course lunch with soft drink or iced tea). Checks should be made payable to: History & Preservation Coalition of Sarasota County. Mail to: P.O. Box 895, Venice FL 34284-0895. RSVP by April 19. Meet at Venice Train Depot. 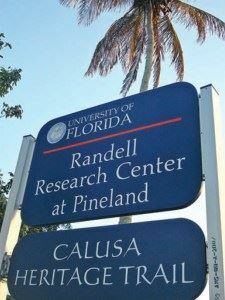 Van departs Depot at 9 AM for an 11 AM arrival at Randell Research Center, site of Calusa Heritage Trail. Lunch is available nearby at your own expense. (We will try to arrange a group lunch at the Tarpon Lodge at your own expense.) Tour begins at 12:30 PM. Cost for tour is $5 for seniors and $7 for adults. Tour ends at approximately 2:30 PM. Van leaves Randell at 3 PM. Approximate arrival at Venice Train Depot is 5 PM. Cost of van is $28 per person/round trip. Call Betty Intagliata (941) 484-0769 to register. Make checks payable to Betty Intagliata, Program Chair. *Field trip will be canceled if insufficient number of registrants. 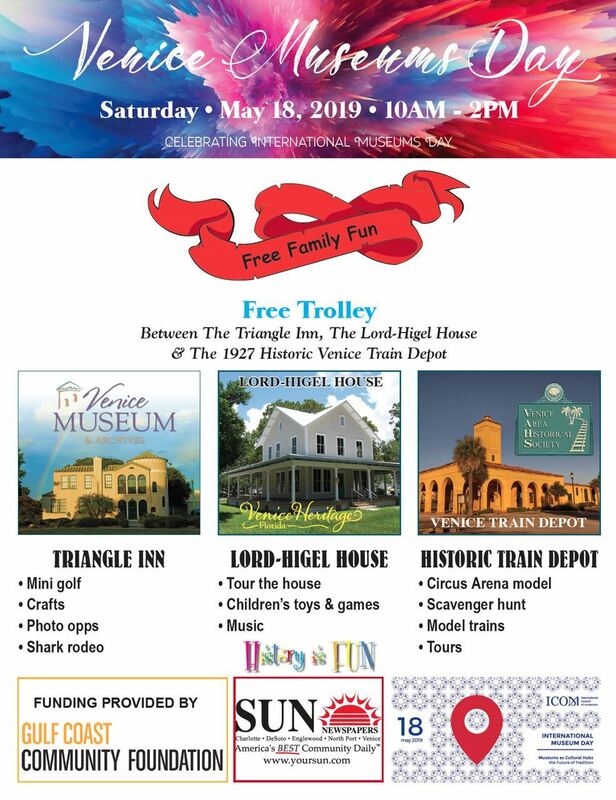 Free trolley rides available between Train Depot, Lord-Higel House and Venice Museum and Archives. Tours of all 3 sites will be conducted. The Circus Arena Miniature will be on display at the Depot. Model trains will be showcased in the Freight Room. While supplies last, there will be free clown noses and whistles for kids. Popcorn and water will be available at the Depot. A scavenger hunt will also be held at the Depot. "Rising Tides—Shifting Sands—Ancient Sites in Peril"
Note: Seating is limited. Please plan to arrive early. Last in a series of five lectures with the theme "Southwest Florida's Native Americans"
May 21, 2019. 7 PM. 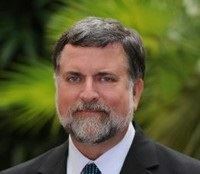 "Rising Tides—Shifting Sands—Ancient Sites in Peril" presented by John McCarthy: Executive Director of Gulf Coast Heritage Association and Historic Spanish Point, Osprey, FL. Mr. McCarthy, a well-known local historian and speaker, is the Executive Director of Gulf Coast Heritage Association and Historic Spanish Point. He will discuss the impact of rising seas and shifting sands on three ancient sites: Manasota Key Offshore, Historic Spanish Point, and Egmont Key. Included in his presentation will be how archaeologists, local citizens, and Florida's Native Americans are working to protect the past. He has a BS from Goshen College, Indiana. The Betty Intagliata Lecture Series: Sponsored by the Venice Area Historical Society (VAHS). Permanent funding for the Betty Intagliata Lecture Series is provided by the Bill Jervey, Jr. Charitable Foundation. Directions: The Sanctuary of the Unitarian Universalist Congregation of Venice (UUCOV) is located at 1971 Pinebrook Road, Venice, on the corner of Edmondson Road. Use the driveway into the church campus from Edmondson Road, west of Pinebrook Road. From the south on I75, exit at Exit 193; turn right on Jacaranda Boulevard and travel to the flashing stoplight at Border Road. Turn left and follow Border Road (which turns into Edmondson) through another flashing stop sign and then a stoplight at Pinebrook Road. Theme for 2019-20: "Women Get the Vote". The 19th Amendment to the U.S. Constitution was proposed on June 4, 1919 and ratified on August 18, 1920. October 15, 2019. 7 PM. "Ida B. Wells" with reenactor Ersula Knox Odom. Ida B. Wells was an African-American journalist who fought against lynching and fought for women's suffrage. November 19, 2019. 7 PM. "Jeannette Rankin" with reenactor Kate Holmes. Jeannette Rankin was the first woman to serve in U.S. Congress. © 2019 Venice Area Historical Society. All rights reserved.